Also referred to as Pipe-pullers , vibratory plows make the installation of underground pipe and wire easier. Weather you need a wire installed to a shed, pull PVC or poly pipe for your irrigation installation, pull a water line to your dock, or use a feed blade to install fiber-optic line through a complex, Complete Irrigation has the equipment to get the job done. Call us to find out how we can expedite your project, completing it on time and under budget, with minimal disturbance to your property. When larger pipes need to be installed, and a backhoe or excavator are just too much disturbance for the project, our walk-aside and ride-on trenchers are the right machine for the job. For sizes up to 4”, and depths up to 30”, there is no machine that offers quicker installation with minimal disturbance than a trencher. Let us quote your pipe installation project! 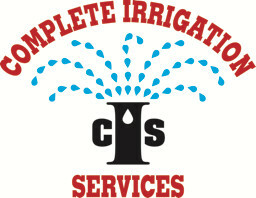 Complete Irrigation Services owns several different methods to drill across walkways, drives, and other obstacles to install conduits, pipes or wires. Have an underground wire to a light, shed, dock, garage or even the main street that Dig-Safe won’t mark for you? Complete Irrigation Services has the right wire tracker to find that hidden utility.